A woman who ignored doctors' advice to abort her twin babies when she was diagnosed with lymphoma is set to take on a 10k running challenge for the charity that she says ‘saved her and her children'. Holley Tierney will run her first 10k at the Simplyhealth Great Manchester Run on Sunday 18 May. 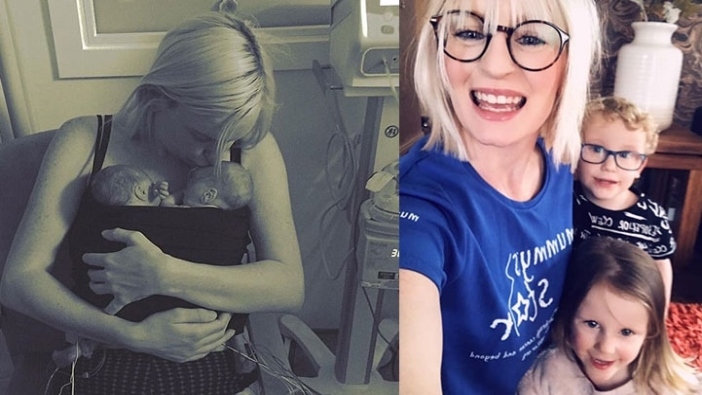 Holley, from Manchester, was 23 weeks pregnant with twins when she went to the hospital for a check after developing a sore arm in the summer of 2015. She was diagnosed with a high stage blood cancer called lymphoma and was given poor odds of survival. She was told, to stand any chance of living she would have to abort her babies and begin an intense treatment course straight away. But Holley had longed to be a mum for so long and decided to take the risk to continue with her pregnancy. Every week as they grew stronger, Holly became weaker and at more risk of death. She managed to reach 29 weeks before she gave birth via a c-section to Havana and Harlow. The premature twins battled for survival and were placed on oxygen, with Holley starting chemotherapy just days after giving birth. She went through six rounds, suffering from hairloss and sickness, before starting further rounds of radiotherapy. Thankfully, Holley's treatment is now finished, and she is in remisson, but still struggles from the side effects. She will take on the 10k this May in support of Mummy's Star, who she says provided her with the niche support and advice about dealing with a cancer diagnosis while pregnant. Holly, 28, said: “'I'm a dance teacher and that day I had carried a sound system so I figured the pain was due to that, but because I was pregnant I decided to get checked out at hospital. 'I'm so thankful to the doctor in A&E that pushed for me to have an X-ray and CT scan as I was just about to be sent home with a pulled muscle, he has saved my life. 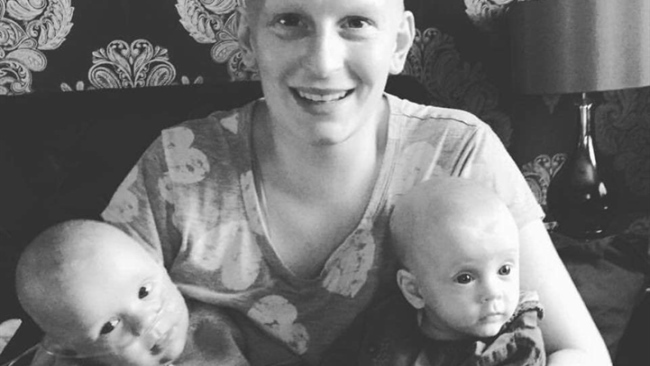 "I couldn't believe I was facing cancer while pregnant, it was my worst nightmare. “I knew there was no way I could terminate my pregnancy when I felt them kick, my maternal instincts had already kicked in. “My babies were delivered safely taken straight to intensive care, they weighed almost 3lbs each. “Seeing them for the first time was the best feeling in the world, I couldn't believe they were mine. “But it was bittersweet as I kept thinking I would never have chance to watch them grow up. Thankfully they are now very strong and are doing well. “I found a leaflet for Mummy's Star and they gave me so much support mentally, emotionally and even helped towards the cost of seeking further advice at the time. “Mummy's star made me feel like I wasn't alone. They understood every single concern and emotion that I faced and I cannot help them enough." Holley is determined to complete the Simplyhealth Great Manchester Run to raise awareness about dealing with cancer while pregnant but also to raise vital funds for the charity. She hopes that the run will be a celebration of everything that she's gone through and achieved in life. The city centre event features 30,000 runners taking on either a 10k or half marathon distance and is known for its booming anthems that rock the city's streets. Holley added: “I want to take part to say thank you to the charity and to celebrate how far me and my children have come thanks to them. “I'd also love to help other women out during their treatment. If I raise enough, it could help towards childcare so that some of the mums can have their cancer treatment stress free knowing their little ones are being looked after. To support Holley's fundraising, click here.